Note: Any additional twitter for each day will be updated in the same post. The official release date of Lounge H album has been pushed back to 12 Oct 2011, and above seems to be the new album cover for the pre-order version. Apologies for the advertisement in front; this video from Sina does not lag as much. Just press “Play” after the ad. To prevent video lagging, please press “Pause” for a while to allow buffering to complete. Now, this probably means that if there is any text, it will be in traditional Chinese. Shouldn’t be too bad because the songs and DVD are more important, right? Also, I don’t know what kind of photo-book they mean, but it could be the usual kind of photo-book found in albums. * Disclaimer: I do not know whether any English edition will come out in future, so please think carefully before you buy! This album is also available at HMV Japan but at a much higher cost. If you would like to buy from YesAsia, please go to this link. … The bad news is, Sukbar is not accepting any overseas order from other countries. I’m very sorry that I’m not able to help. There is a chance though, that the special edition may turn up for sale on various international websites, and definitely the normal edition will too. For those residing in Singapore (and can collect from me in Singapore), Daydreaming has a friend who is able to help us place the order with Hong Kong’s Suk Nation. Apologies for such short notice, because we have to get the payment to the contact in Singapore, who then has to get it to Suk Nation in Hong Kong, who then has a payment deadline to face too. Below is the translated notice from HS Media. Hi everyone, this is HS Media! 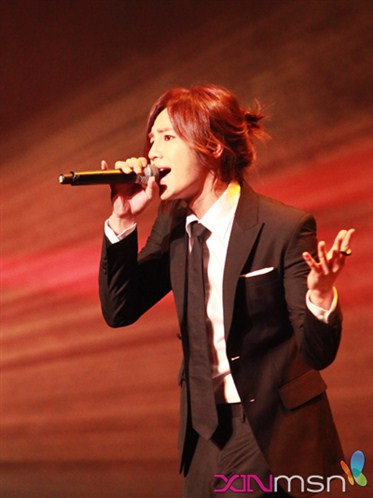 Are all the eels ready? Have you looked forward to this for a long time? Now we will tell you this piece of important news. 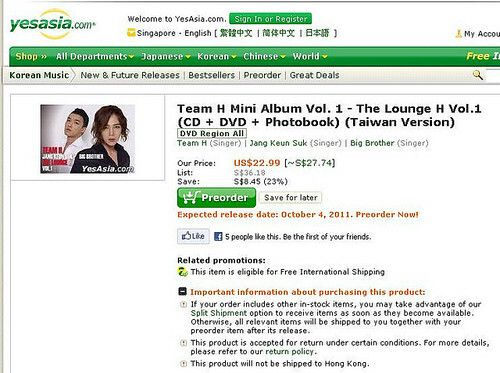 The 1st album of JKS & Big Brother’s Team H in the Greater China region 《THE LOUNGE H VOL1》will be officially released at the end of September 2011. JKS’ era has arrived. In order to make the first shot successful and to thank all Chinese fans for their support of JKS, a special limited fans’ edition of this album will be released. This special edition of previous collection value is only available through purchase with the respective fanclubs and will not be released publicly in stores. Fans who wish to buy the special edition can proceed to pre-order with the respective, authorized fanclubs. Relevant information as below. Ok, I’m going to take a shortcut again. I’ll not be posting a separate fan account, but rather putting my comments on some of these wonderful pics taken from various sources. 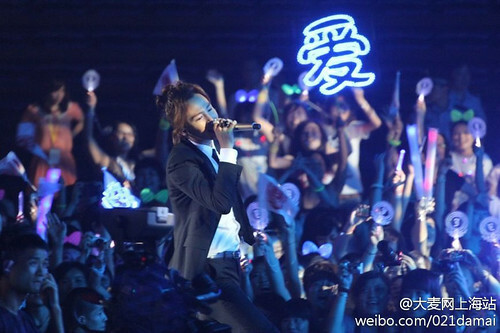 To sum up in a few words, the Cri Show ran as expected in terms of programme, and I suppose JKS was very high. To me at the personal level though, the day 9 July can only be described as a day of suffering and disappointment. 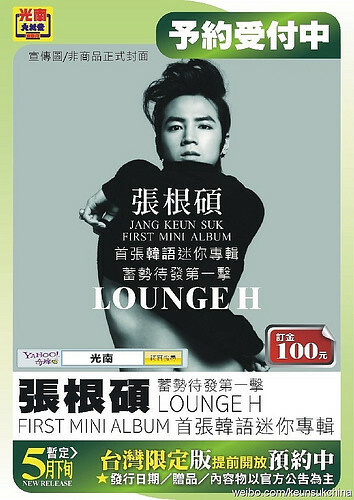 Taiwanese fans can start to pre-order Jang Keun Suk’s first Korean mini-album “Lounge H the First”, with the album release date tentatively scheduled for the end of May 2011. Other than the Taiwanese limited edition shown on this pic, there seems to be no other information. It’s strange that the news of this album was first announced in China, but Taiwan gets to pre-order this limited edition first? 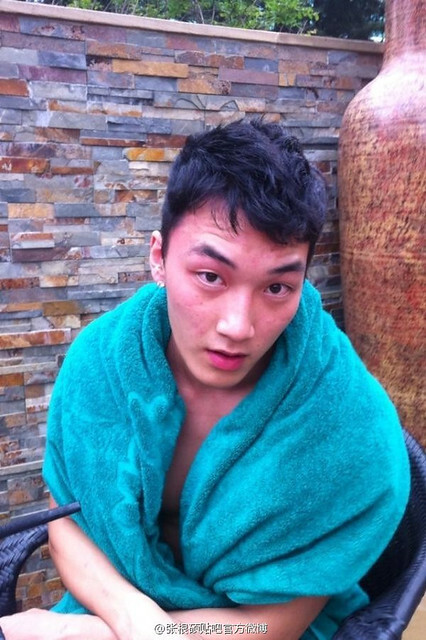 Anyway, more news is expected to come out soon, so we just have to wait.